“..an outstanding example of a Mediterranean landscape, with exceptional cultural and natural scenic values resulting from its dramatic topography and historical evolution“. The coast was developed in the 4th century AD and favoured by the Romans. The beautiful and majestic coastline consists of Amalfi, Atrani, Reginna Maior, Reginna Minor, Positano, Praiano, Certaria and Hercle. South on the Sorrento peninsula and bordering to the Monti Mattari Regional Park, is the beautiful picturesque fishing village of Positano. Enclaved in the hills the village is climbing up from the coastline in entwined streets and stairs clad with an array of local shops, restaurants, art galleries and upmarket boutiques. 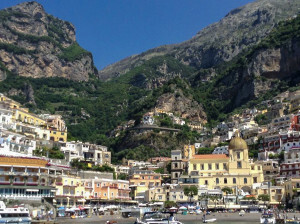 Positano is truly a must on your Amafi costal cruise. The Grotta dello Smeraldo is a cave, partlyfilled with sea water and located in Conca dei Marini, Italy, on the Amalfi Coast. 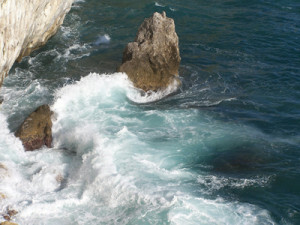 Unlike the Blue Grotto located on the island of Capri, the Grotta dello Smeraldo has no natural outlet above the waterline. The absence of a visible entrance meant that the cave’s existence was only discovered in 1932 by a local fisherman. Refracted sunlight entering the cavern through the submerged entrance gives the cave an emerald glow during daylight hours. 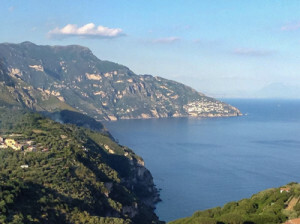 Surrounded by dramatic cliffs and coastal scenery the City of Amalfi is located at the bottom of a deep ravine at the foot of the mountain Monte Cerreto. 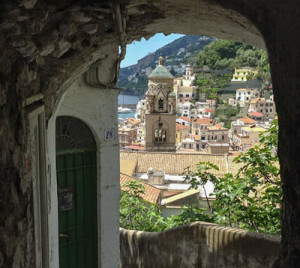 Once the capital of the maritime republic known as the Duchy of Amalfi, the City of Amalfi was an important trading power between the 9th and the 13th century. 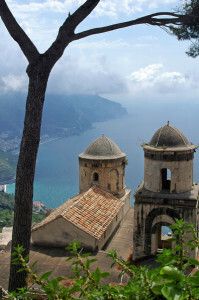 At the heart of the city of Amalfi you will find Saint Andrew’s Cathedral overlooking the Piazza Duomo. Dating back to the 11th century the cathedral hosts an array of frescos and noteworthy relics from the cathedral of Constantinople following the Siege of Constantinople in 1204. 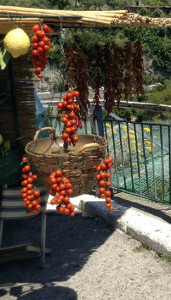 Maiori has been a popular tourist destination since Roman times. 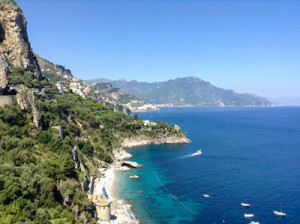 It has with the longest unbroken stretch of beach on the Amalfi coastline. Numerous coastal towers, most only visible by sea, where built by the Spanish as part of a large defensive system. The tower of “Norman” dominates the Maiori landscape and has become a representative symbols of the area. Explore the coastline with it’s coves and caverns, wide and full of stalactites such as Cave Pandora and Cave Sulfurea which has a spring of sulphurous water rich of magnesium. On the western boarder of the Regional Park of Monti Lattari is the City of Salerno, the biggest city in the Gulf of Salerno. Outside the riches of the Amalfi coast Salerno’s claim of fame is the Schola Medica Salernitana, the first medical school in the world. In the 16th century Salerno became a centre of learning, culture and the arts. Today the city of Salerno is an important commercial center with one of the largest seaports on the Tyrrhenian coast. Although a modern city Salerno is still full of historic heritage with a charming and beautiful historic center. 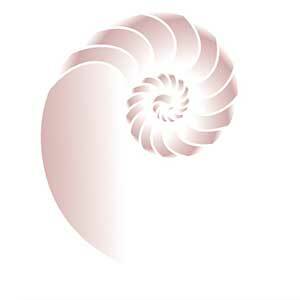 South of Salerno you have another UNESCO World Heritage site at Cliento and the National Park of Vallo di Diano. 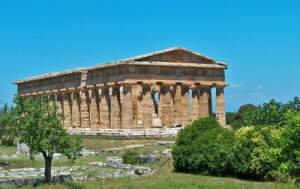 The national park (second-largest in Italy) reaches from the Tyrhennian coast to the mountains of Campania-Lucania Apennines and includes numerous traces of ancient times including the archaeological sites of Paestum and Velia, and the Certosa of Padulaand. A little further south you have another beautiful yachting destination in The Aeolian Islands and Sicily.